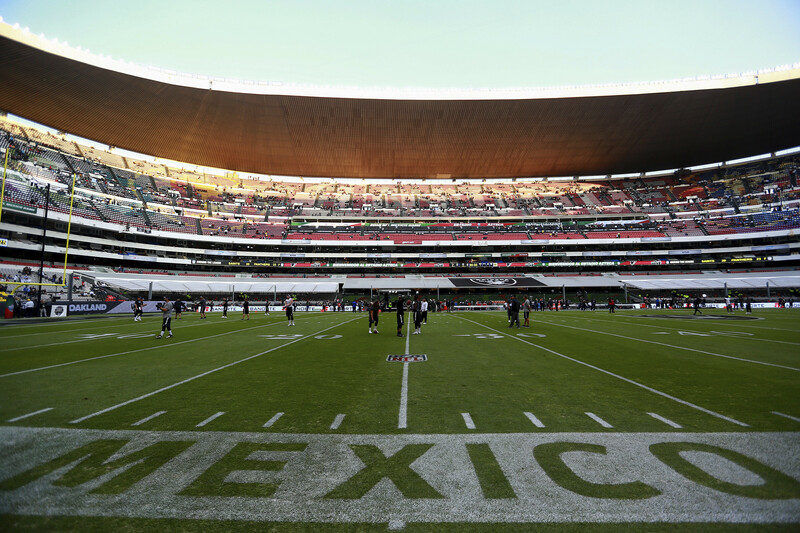 The NFL returned to Mexico this season, and the league looks determined to go back in 2017. The NFL made a return to Mexico this season with a Week 11 Monday night game between the Houston Texans and the Oakland Raiders in Mexico City. Incidents with fans created some security concerns, but going forward that doesn’t seem to a major issue. A population of 22 million people with a thirst for American football and close proximity to the United States makes Mexico a strong market for the NFL which can be further tapped. On that note, another NFL regular season game may be coming south of the border in 2017. According to ESPN’s John Sutcliffe, the Raiders and the New England Patriots could play at Mexico City’s Estadio Azteca at some point next season. During the ESPN Deportes broadcast of Monday night’s game between the Green Bay Packers and the Philadelphia Eagles, Sutcliffe mentioned that Patriots’ owner Robert Kraft is very interested in the possibility of playing in Mexico City. Sutcliffe also added that Raiders’ owner Mark Davis has already made it known he wants to play in Mexico on a regular basis, which makes sense with the team having a very large fan base there and the clear evidence of that eight days ago. The Raiders and Patriots are tied for the best record in the AFC right now, with matching 9-2 marks, and they could eventually face each other in this year’s playoffs. That would add more juice to a regular season match-up next year, particularly as the Raiders look to dethrone the Patriots as the long-running kings of the AFC. Added interest may also come from fans who remembers the “Tuck Rule” 2001 AFC Divisional Round game between the two teams, which started New England’s long run of success under head coach Bill Belichick and with Tom Brady under center.